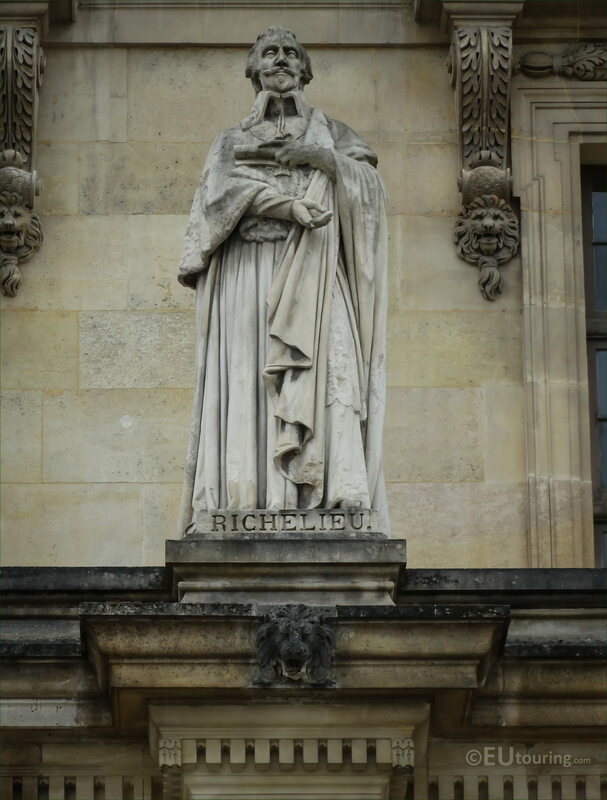 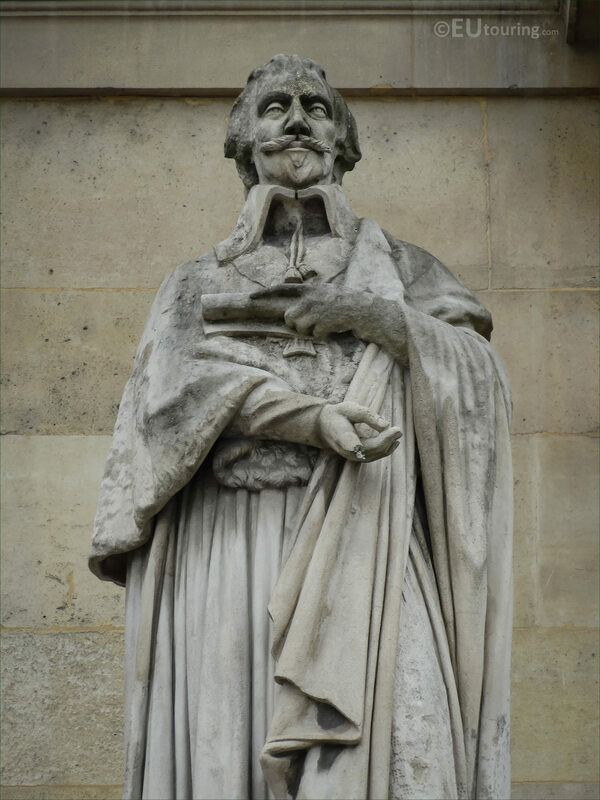 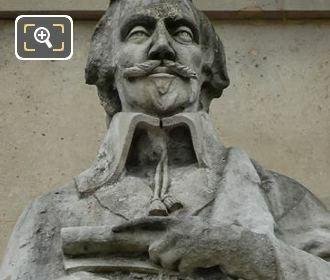 There are so many statues on The Louvre facades to admire, that yet again, while we were within the Cour Napoleon, we took these high definition photos showing a stone statue of Richelieu, often known as Cardinal Richelieu, which was sculpted by Jean Auguste Barre. 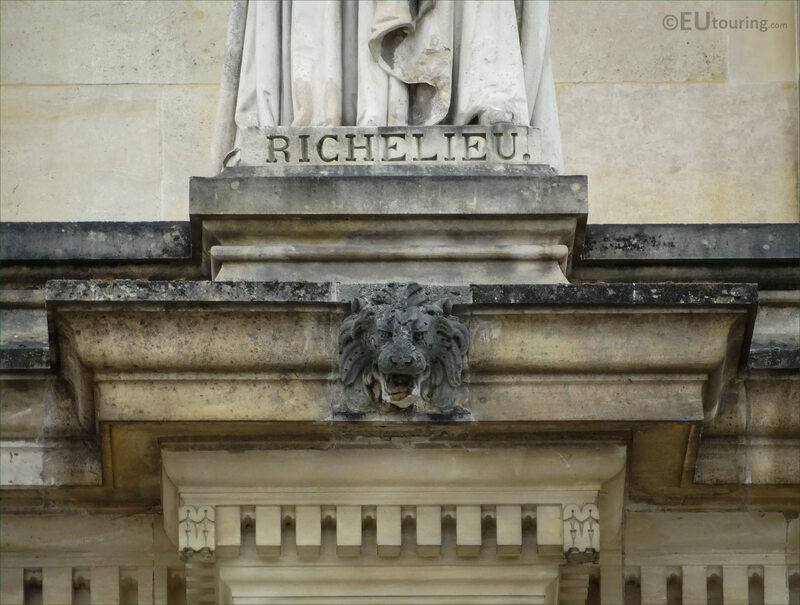 So in this first HD photograph you can see the statue of Richelieu, which is located on the first level balustrade of the Aile Daru facade of the Musee du Louvre, in the 1st Arrondissement, and this is situated in between windows approximately in the middle of the museum wing. 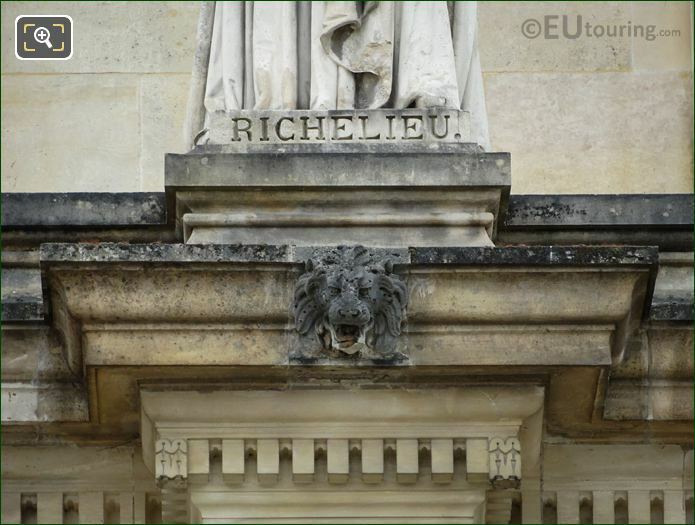 Now this is a close up photo showing the detailing that went into the sculpture of the Duke of Richelieu and of Fronsac, or better known as Cardinal Richelieu, and this was produced by the French sculptor and medallist Jean Auguste Barre, normally known as just Auguste Barre, who was born in September 1811 and passed away in the February of 1896, having produced numerous different busts, portraits and statues for places such as Chateau Versailles. And in this last image, you can see a close up of the name inscription at the base of the statue dedicated to Cardinal Richelieu, who was born in September 1585 and was a Catholic Bishop, but became the Chief Minister to King Louis XIII where he remained in office until he passed away in 1642.